Extra points for HTML/CSS experience. We will need someone two days a week with some flexibility. Work from home. Hourly wage offered. Panache Booking is looking for a Booking Admin Assistant Intern for 2019 in our LA office. Interested individuals must commit to the internship for at least 6 months and at the most 12 months. Must be avail for at least 2-3 full days a week. Office is located in Eagle Rock. Please contact Betty at betty@panacherock.com to apply and send your resume. – Unpaid internship with gas reimbursement. 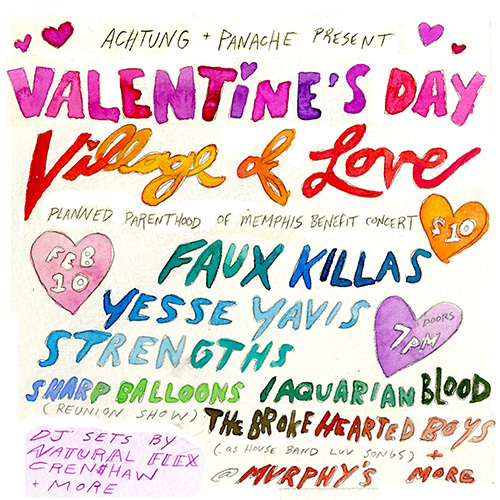 Panache hosts our annual V-day Village of Love Planned Parenthood of LA Benefit Concert on 2/14! 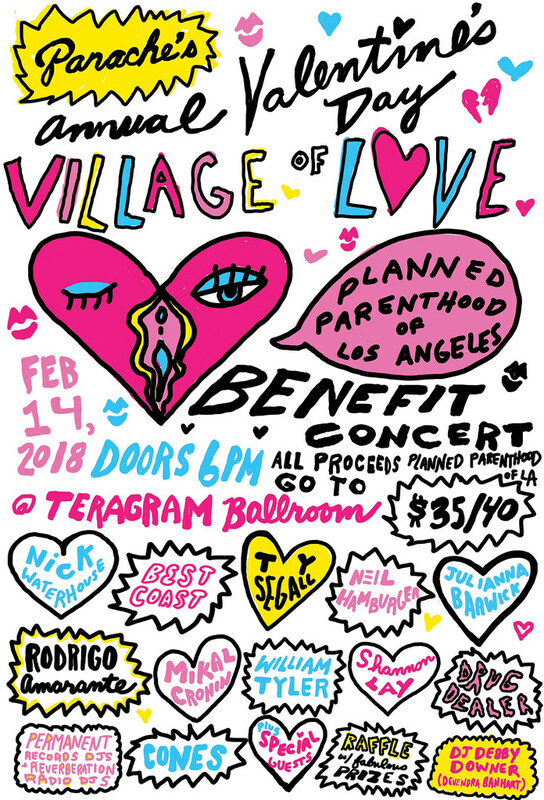 Panache is excited to announce 2018’s VILLAGE OF LOVE, our sixth annual Valentine’s Day Planned Parenthood Benefit Concert. 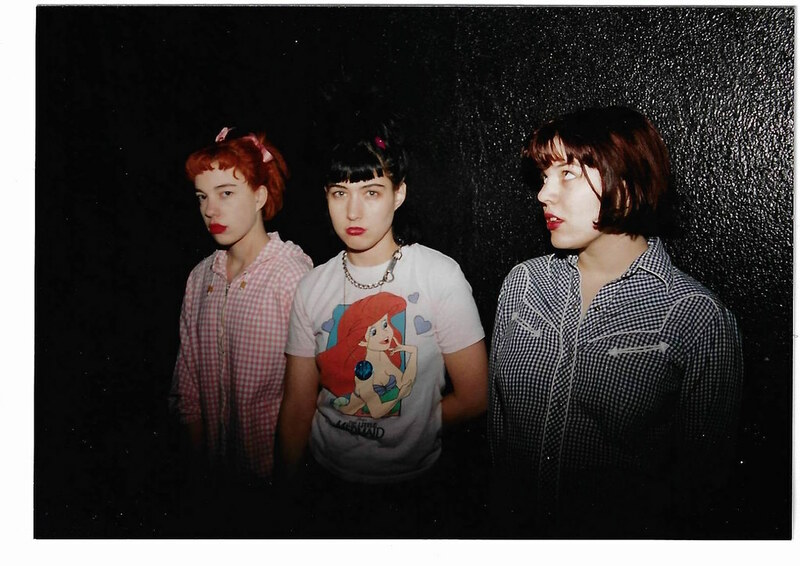 The event will take place on Wednesday, February 14th at The Teragram Ballroom and feature renowned musicians from Los Angeles performing original material as well as covers of their favorite love songs. There will also be a raffle hosted by Neil Hamburger featuring fabulous prizes, with all proceeds benefitting Planned Parenthood of LA. More artists to be announced soon. Tickets available here. 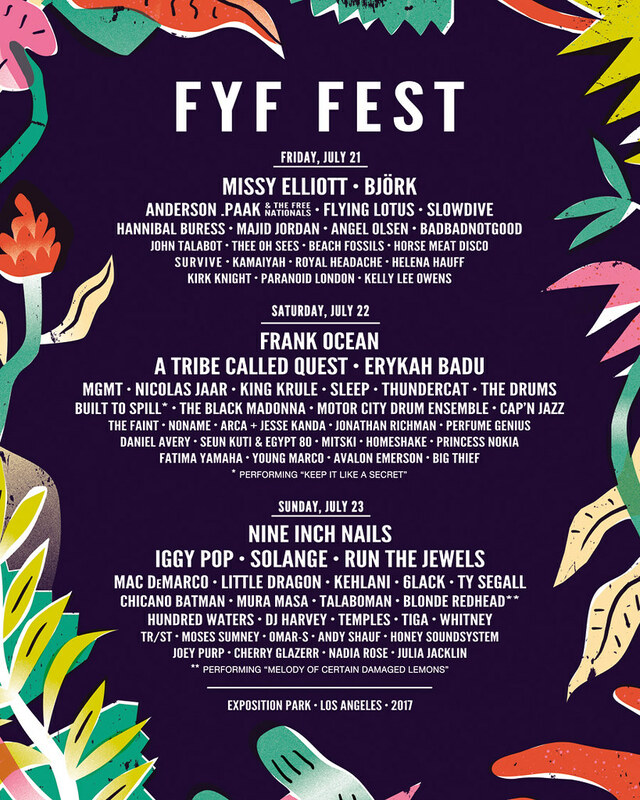 Oh Sees announced on Coachella! 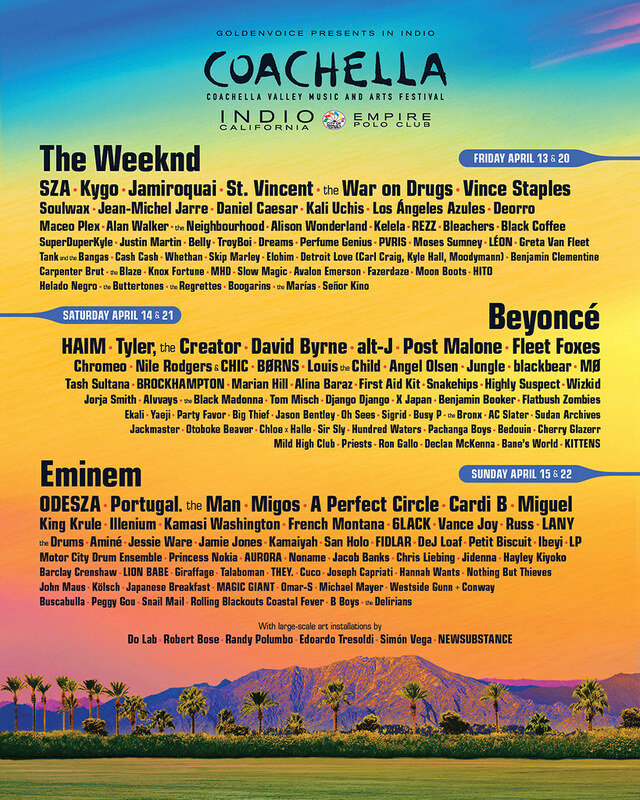 Excited to announce that Oh Sees will be rocking out in the desert at Coachella 2018 this spring! Tickets available here. Mac DeMarco Fan Club is looking for a new Fan Club assistant in Brooklyn. This position will be great for a college student! Extra points for HTML/CSS experience. We will need someone two days a week with some flexibility. Hourly wage offered. Panache hosts three V-day Planned Parenthood Benefits in LA, NY and Memphis! 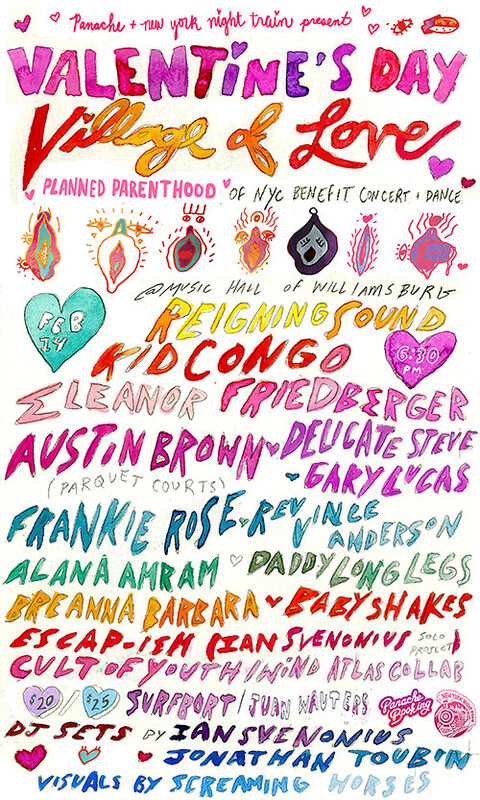 Panache and New York Night Train are once again partnering to host Village of Love, their fifth annual Valentine’s Day Planned Parenthood of NYC Benefit Concert & Dance. 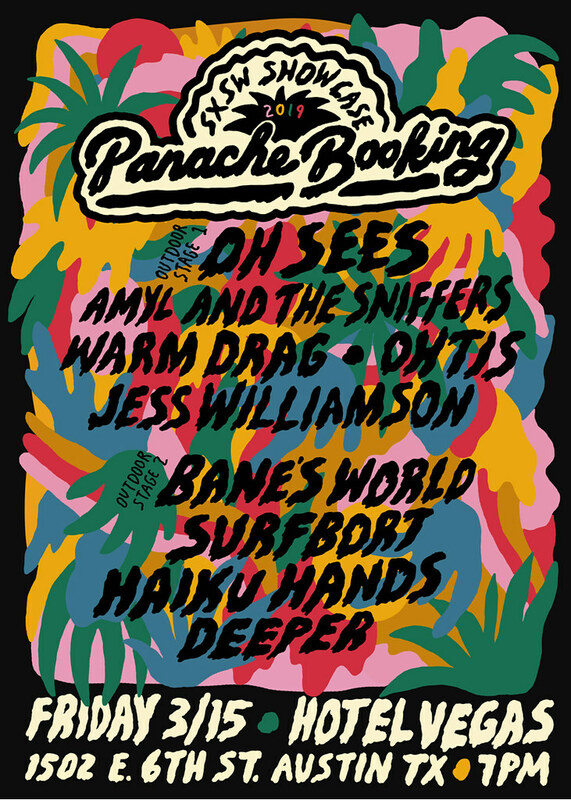 This year for the first time, Panache is expanding the benefit to cover multiple cities. In addition to Brooklyn, Panache will host benefits in Memphis with Achtung and in Los Angeles. Each event features a very special Valentine’s Day revue with some of the finest musicians from each city performing covers of their favorite love songs. In Los Angeles and Brooklyn, there will also be a raffle featuring tons of fabulous prizes from local businesses, an art auction and live portrait drawing. All proceeds benefit Planned Parenthoods of NYC, Los Angeles and Memphis. 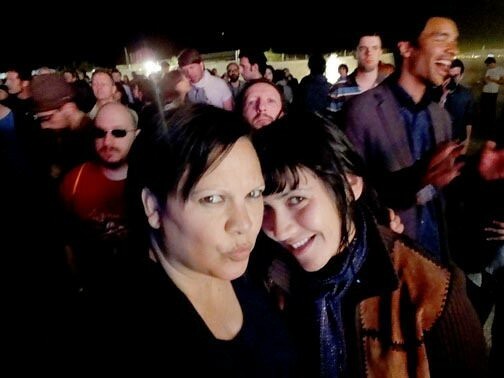 The 2/14 LA Line up at Teragram features Ty Segall, King Tuff, Rodrigo Amarante, Mikal Cronin, Jennifer and Jessie Clavin of Bleached and many more. Tickets available here. The 2/14 NY Line Up at Music Hall of Williamsburg features Reigning Sound, Kid Congo Powers, Eleanor Friedberger and many more. Tickets available here.